We are proud to announce today that the Creators Project premiered Tycho's video for See. The video was directed by Bradley "GMUNK" Munkowitz, who was also the creative director on the Webby Award winning Box, the lead interface graphic designer on Oblivion and animated graphics designer on Tron. 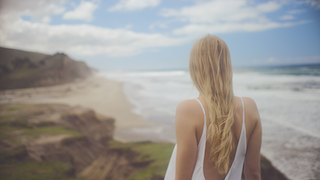 The video shot with a modified RED EPIC camera to capture the full light spectrum, is a mystic vignette that follows a single heroine's journey through a series of stunning environments and parallel universes.